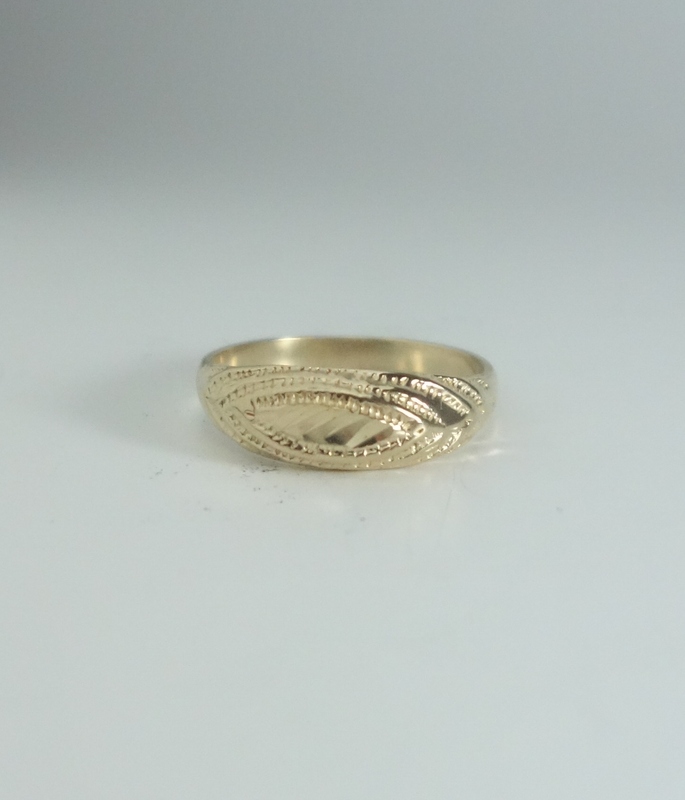 10k gold ladies dome ring. All prices are in Canadian dollars. 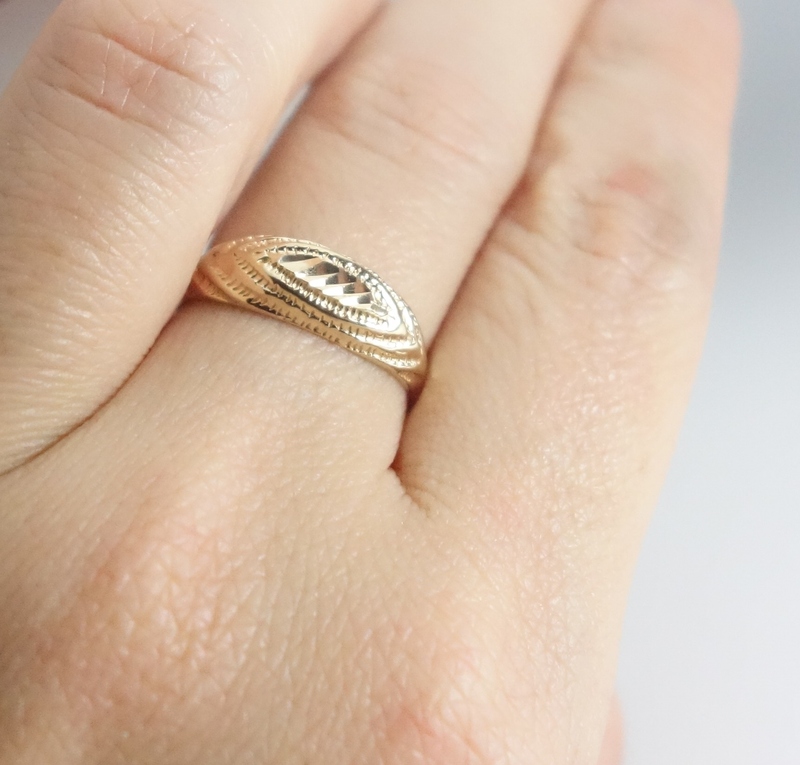 A 10k yellow gold ladies ring. The top of the ring has a brushed finish with a design etched in it. Top of Ring Width: 4.5mm* Size of Ring: 6.25* *all measurements are approximations. All prices are in Canadian dollars. 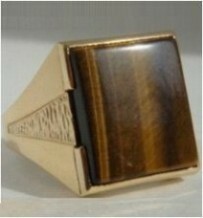 This 10k mens ring with a square tiger eye stone is large enough to make a statement. 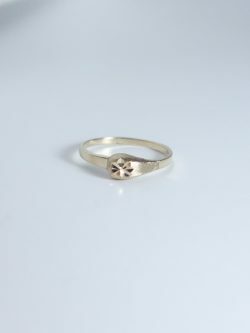 The ring has suttle designs on its side to add a little uniqueness to this already striking ring. Ring Width: 18mm* Stone Size: 13.5mm* x15.5mm* Ring Size: 11* *all measurements are approximations. All prices are in Canadian dollars. This structured 10k mens ring would make a great ring as is or it can also make a beautiful wedding ring. 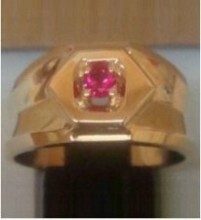 The red stone adds that touch of colour to make the ring stand out on its own. All prices are in Canadian dollars. 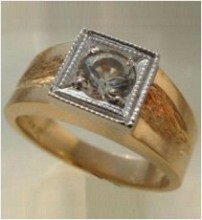 10k yellow gold mens ring has a cubic zirconia white stone set in a 10k white gold setting. This would make a great gift for you or any man.